So it's official: starting January 9, Urban Fieldnotes will be posting 21 new Philadelphia street style photos, 21 days in a row as part of a collaboration with Century 21 Department Stores. It will feature some of the best photos I've taken so far, along with quotes and stories from the people I photographed. We're calling it 21 Days of Street Style, largely for its undeniable hashtag-ability. I know this has been a long time coming. I've been relying on New York Street Style photos for far too long. My numbers have taken a hit as a consequence. I've also been suffering from a certain amount of photographer ennui. I am just SO BORED of New York Fashion Week photos, as I'm sure you are too. 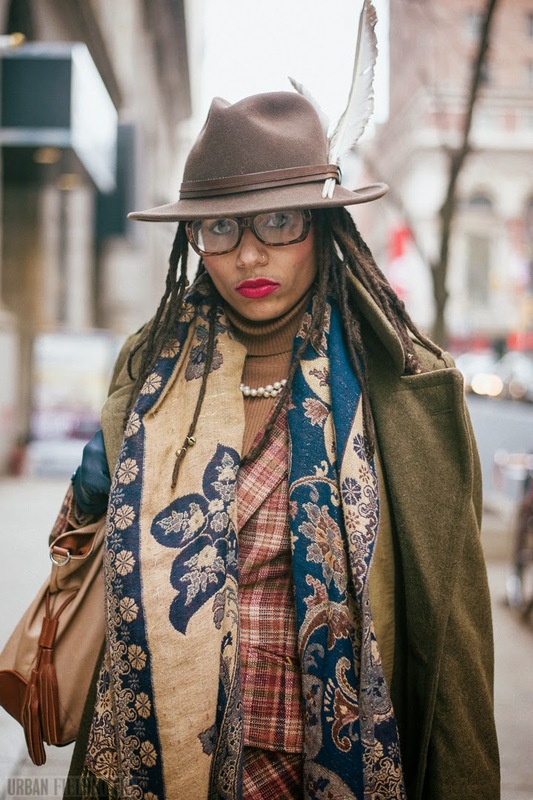 But worry not, new Philly street style is on its way. Lots of it. In the meantime, here are a couple of new shots of Jameka, strolling down Walnut Street this past Monday.